Immaculate furnished golf course view town home, nestled in the Village of Long Bay overlooking the 4th fairway. 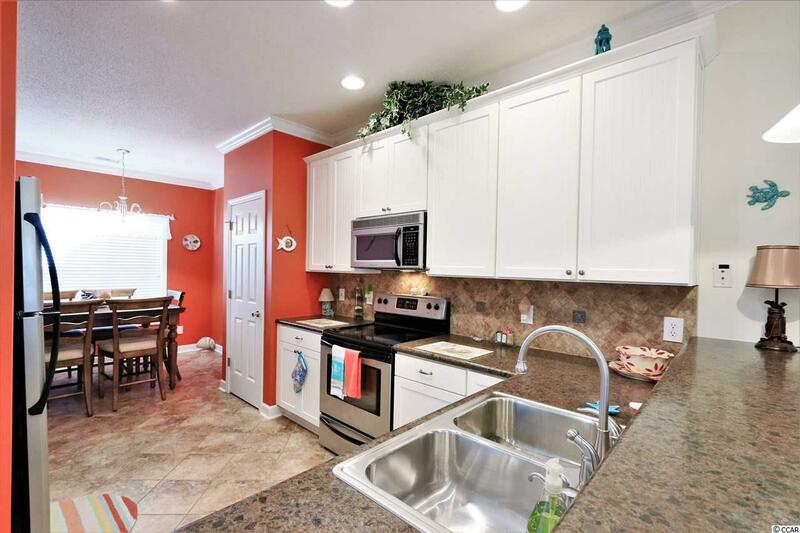 This home has been freshly painted and is move it ready with upgrades galore! It's never been rented and used exclusively as a winter retreat. 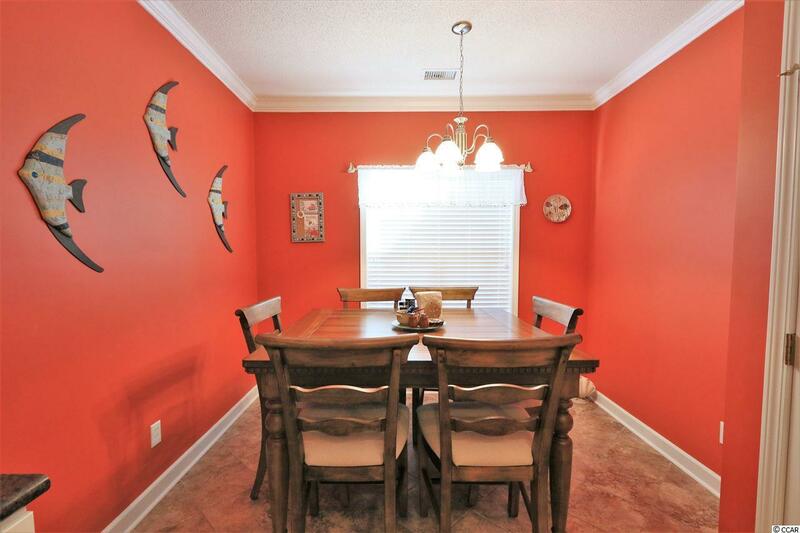 The spacious great/living room features surround sound, an upgraded tray ceiling with two ceiling fans. 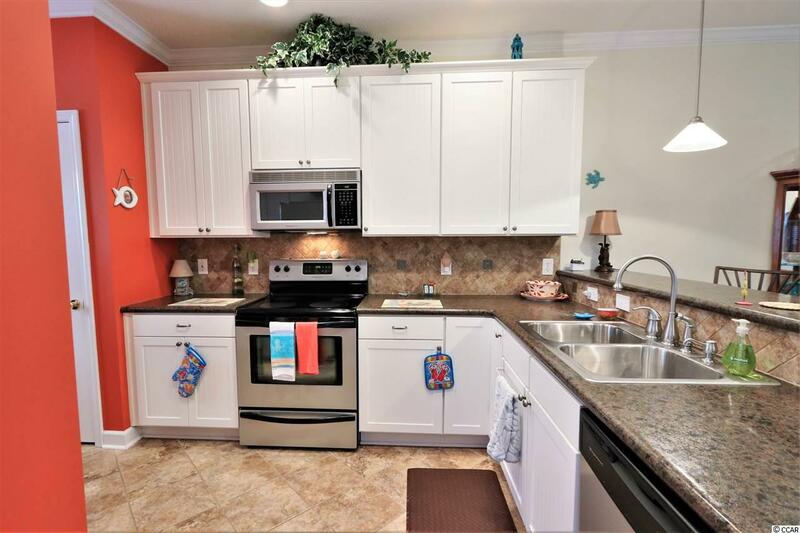 The kitchen features modern white cabinetry with a beautiful tile backsplash, bar area & tile floors. The sun room is very cozy and features Ezy Brzy windows. Outside there's a large, relatively private patio overlooking the wooded area and golf course. 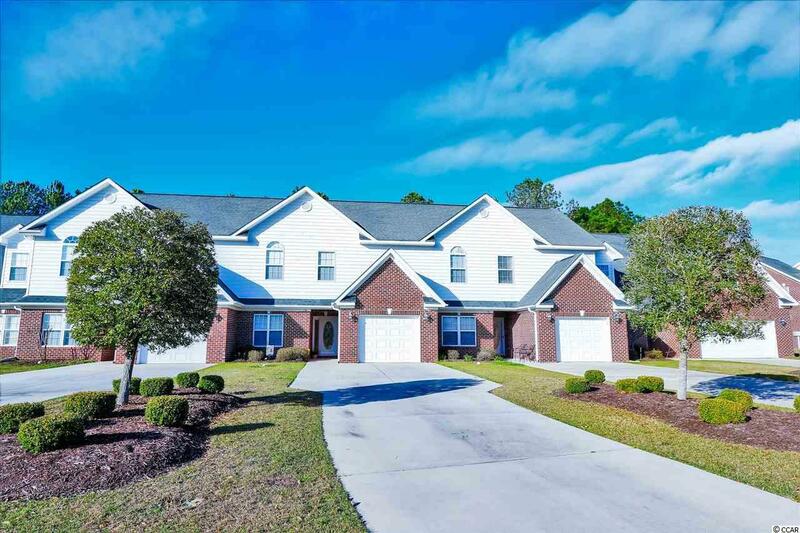 The home has 3 full bedrooms, 2 full bathrooms, powder room, foyer, washer & dryer, an additional bonus/media room. The Master Bedroom has a separate sitting area and a large walk-in closet. In the bonus room upstairs there's a solar tube for additional light and has a full size door that leads to the large attic for additional storage (adding a lot of sq footage). This is one of the few units with this option. The second level in this unit is larger than in the older buildings. The garage floor has been painted and there is additional storage under the stairs that can be accessed. This home has been freshly painted and the HVAC system has been replaced with a high efficiency, Bryant system. Be sure to factor in these upgrades when comparing units for sale. Long Bay Golf course is a Jack Nicklaus Signature golf course and has gorgeous views of the well manicured course, pines and water. If you prefer to be within minutes of the beach while still having a private feel, this is an ideal location. The HOA dues are low and include TV, Internet, lawn maintenance, gutter cleaning, pest control, and power washing, which is fantastic. A must see!